When confronted with grief or loss in my life, I often find comfort in books. Below is a list of books I’ve read that have helped me confront difficult times. 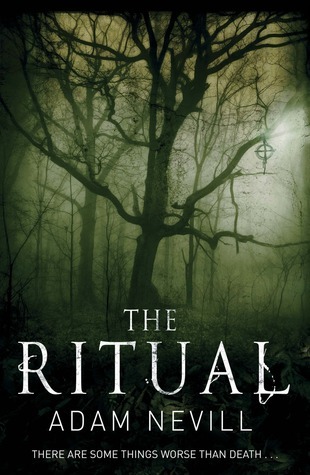 Thirteen-year old Conor awakens one night to find a monster at his window, but not the monster he’s been expecting. Since his mother began treatment for cancer, he’s been having nightmares of a monster nearly every night. 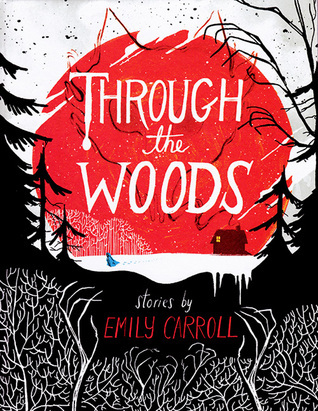 But what he finds is something ancient and wild, who promises Conor a secret in exchange for the truth. 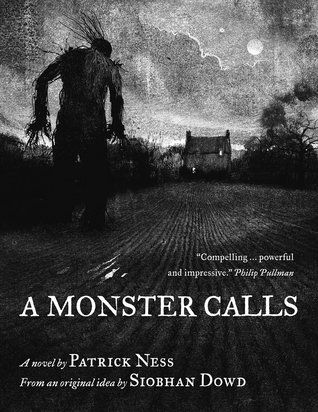 Patrick Ness has a special talent for tapping into the fears and wishes of childhood. A Monster Calls is by turns frightening, funny, and heart-wrenching. The phone rings at midnight. Seventeen year old Emily is dead from a gunshot to the head. Her boyfriend, Chris, tells the police that the single other bullet in the gun was meant for him, as part of a suicide pact between the couple. In the coming days, their families begin to wonder if they ever really knew their children at all. 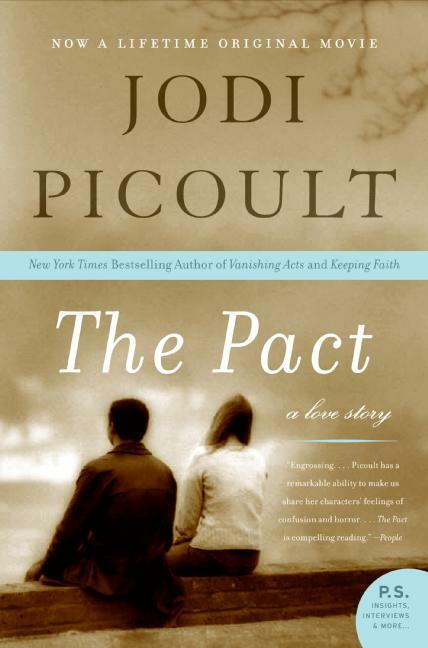 Jodi Picoult’s novels are generally guaranteed to make you ugly-cry, and The Pact is no exception. 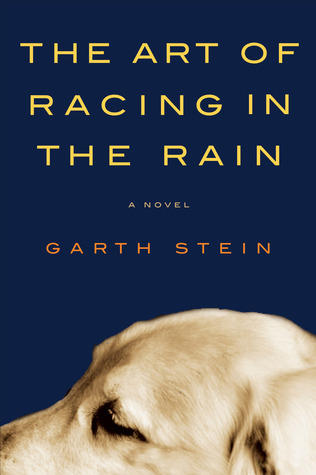 This novel is told from the perspective of Enzo, a golden retriever who carefully watches his master in order to understand the humans around him. 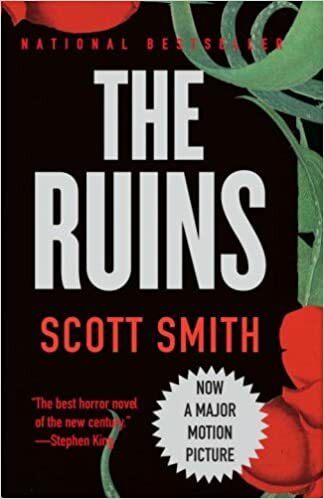 This book was sometimes funny, sometimes sad, but ultimately cathartic and refreshing as it deals with family, love, and loyalty. 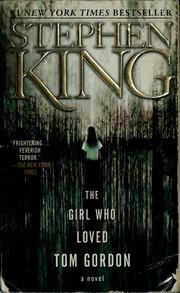 After a predator lures her into a trap Susie Salmon finds herself in heaven, watching as her family struggles to cope with the devastating loss of their young daughter. I had heard a lot of great things about this book before I finally picked it up. I was initally worried that it was going to wallow in melodrama but author Alice Sebold paints a calm and refreshing portrait of the afterlife in which everyone can enjoy themselves and be at peace. 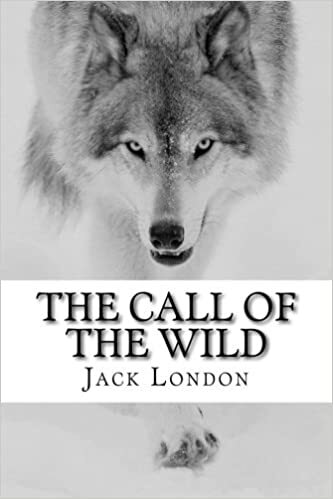 Until the death of Judd’s father, the Foxman family hasn’t come together in years. Still reeling from the collapse of his marriage, Judd joins his family to fulfill his father’s dying wish, to spend a week together in their home, together. As a family. This novel made me laugh out loud while it was making me cry. It’s a wonderful story of the bonds of family, marriage, and all the other ties that bind people together whether they like it or not. Ben Benjamin is broken, unemployed and aimless following the death of his child. He ends up becoming a caregiver to an angry young man named Trevor who suffers from advanced muscular dystrophy. Together the two embark on a road trip and learn what it really means to care for another person. 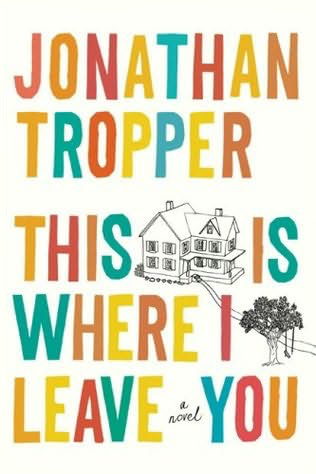 Another book that made me laugh, this novel by Jonathan Evison uses a very deft hand at mixing comedy and sadness. This is a book that left me feeling uplifted and hopeful. Teenage daughter Lydia is the pride and joy of her Chinese-American family, her parents are determined to see her fulfill the hopes and dreams that they worked towards their entire lives. Until her body is pulled out of the local lake. Now Lydia’s parents find themselves spinning into chaos as Lydia’s secrets begin to surface. 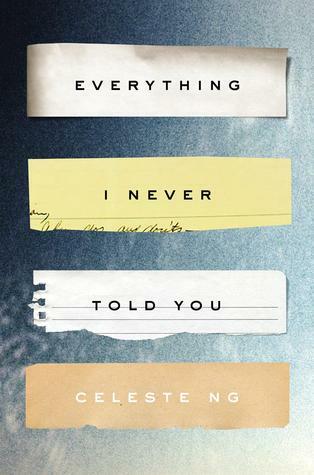 Celeste Ng does an excellent job of unraveling the complicated connections that exist between parents and their children. 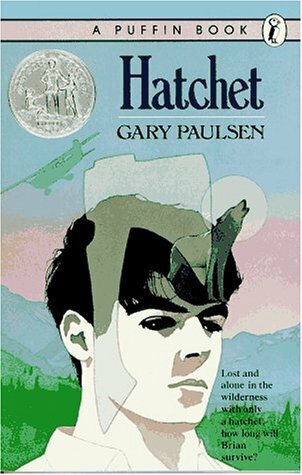 This novel was powerful and left me with a heavy heart. 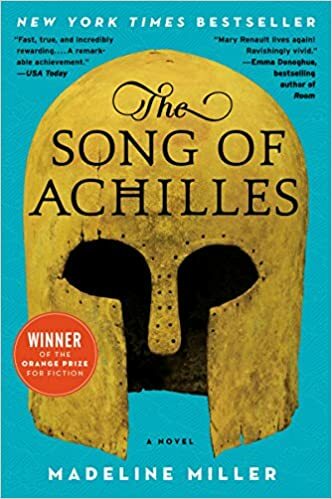 Narrated by Achilles’ childhood friend Patroclus, this novel deals with the ancient legend of Troy through the eyes of someone who sees the great hero as a friend and lover rather than a warrior. Madeline Miller is quickly becoming one of my favorite authors. I loved this interesting spin on the Battle of Troy. She does a great job of portraying the human cost of a legendary war. 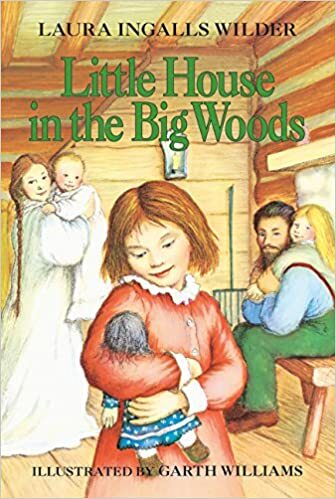 This short children’s book kept popping into my mind as I was putting this list together. While it is not necessarily a story that deals with death, it does deal with loss in a very interesting way. 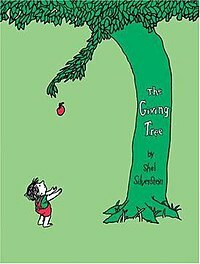 Seeing how the giving tree gives everything it has to the boy, only to find itself alone and unwanted, has always hit me hard. It’s a powerful allegory of the bond between parents and their children. In my opinion, there are few situations that are not covered perfectly by the Harry Potter novels. 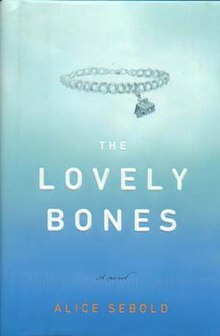 J. K. Rowling delves carefully but masterfully into the anger, fear, and loss that can accompany the death of a loved one. I felt as though I was experiencing that grief along with the characters, and there are some losses that resonate with me even now. If you’re reading this, hopefully one of these novels can help you find the solace you’re looking for. If there are any other books that you would recommend to those dealing with a loss, let us know in the comments section! This post is dedicated to the memory of Donna St. Julian, who inspired a lifetime love of reading and who will be in my thoughts every time I open a new book. Disclaimer: For the sake of the sanity of various family members I need to state outright that I did not leave THE church for Harry Potter. As in it did not drive me from Christianity. While I was brainstorming exactly how this site should run over the course of next year , I decided that I shouldn’t include any re-reads. 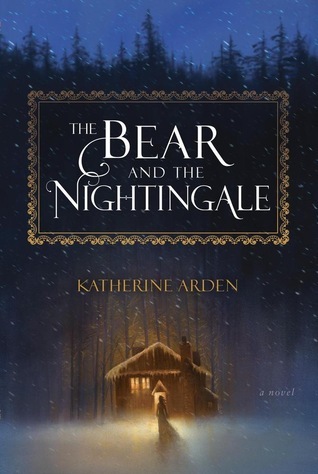 I have a small collection of well-loved books that I like to think of as “comfort novels”. You know the ones. The old favorites that you’ve read and re-read to the point where you can quote them line for line. 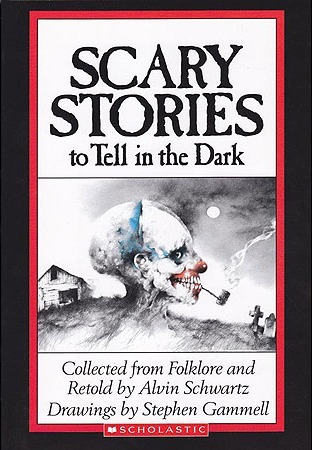 The ones that are like curling up with an old friend. My personal collection of comfort novels includes Gone With the Wind, The Clan of the Cave Bear, Memoirs of a Geisha, and Pride and Prejudice. And of course, Harry Potter. 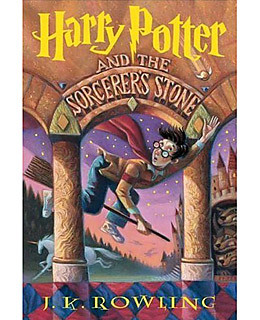 Once I realized that I was effectively banning myself from reading Harry Potter for an entire year, I was of course overwhelmed with a burning desire to read Harry Potter. So before the new year rolls around, I’ve decided to take a nice relaxing stroll back into Hogwarts and spend the holiday season unwinding with a series that has had a significant impact on my life and the life of millions of others. So grab a cup of hot chocolate, snuggle down in the warm glow of your tablets, and I’ll spin you the tale of how Harry Potter became a book I would have to fight for. 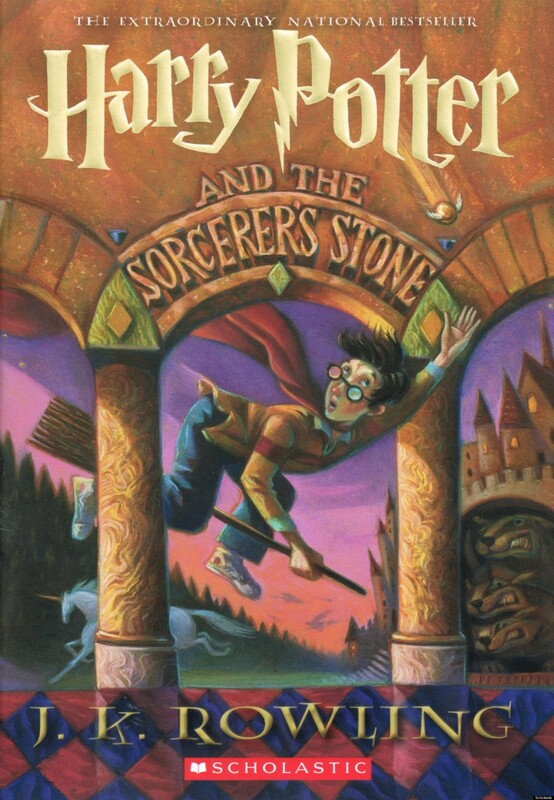 When I was about eleven years old, my language arts teacher decided to spend the first five minutes of every lesson reading aloud to us from Harry Potter and the Sorcerer’s Stone. My parents, who had recently watched a Fox News broadcast which suggested that Harry Potter was leading schoolchildren to form Satanic cults or something, talked about having me pulled out of class. However, they were already too late. Harry had just unleashed a boa constrictor on his cousin and I was hooked. I threatened to purposely fail my classes if they had me removed. Thankfully, once they saw how much the books meant to me they relented. Perhaps they noticed that I had made my way through three of the novels and had yet to sacrifice the family cat to Mephistopheles. In the summer of 2000 my Dad even ended up driving me to Walmart at midnight so I could buy The Goblet of Fire. This was the first time I went to battle over Harry Potter but it was not to be the last. The summer after my wonderful teacher introduced me to the world of Hogwarts, I went away for a week to a sleep-away Christian Bible Camp. At the time, joining one of the local churches had seemed like a great way to make new friends, as I was still relatively new to a small town. I’d actually lived there for nearly three years at that point, but it was a small enough town that we were still the “new” family. Anyway, I was really excited to spend a week hiking and swimming with the girls from my youth group. Turns out, the emphasis at this particular summer institution was on “Bible” far more than it was on “camp”. If memory serves, there was a two hour sermon in the morning, another two hour sermon in the afternoon and a group bible discussion every evening. Now this was your proper Southern Baptist sermon. Lots of singing and dancing and praising of the Lord. It’s actually a pretty rousing good time. But that’s still a lot of church for a twelve-year old. and of course, Harry Potter. Now, I think he had written this sermon back in the 1980’s (none of had ever played D&D and Madonna was something my mom danced to after a few glasses of wine) but he had updated it to include a few of the more modern evils. He latched on to Harry Potter with particular vengeance. It was foul and wicked and tempted children away from God. It taught witchcraft to impressionable youth and as we all know from Exodus we “must not suffer a witch to live”. As I sat there, becoming more and more confused and angry, a voice piped up from the congregation, asking the pastor if he had ever actually read any of the Harry Potter novels. He, of course, had not. Another girl chimed in, saying that she had read them and that the books embodied such themes as friendship, heroism, maternal strength, and the power of love to triumph over evil. None of which, in her opinion, pointed one down the road to hellfire. Their voices gave me courage, and I found myself on my feet, agreeing and adding my voice to theirs. Honestly I cannot remember for the life of me what exactly I said to this pastor. I was scared out of my mind. This was probably the first time I had ever actively disagreed with an adult that wasn’t a family member. Now as some of you may know, it is difficult if not impossible to coherently argue with a self-righteous evangelical. The discussion lasted for only a few minutes before he abruptly switched topics. Perhaps to point out that glitter nail polish was an affront to God. Everyone sat back down and the sermon carried on more or less normally from there. But the damage was done. A thin crack appeared in my worldview that day. I had raised doubt with a member of my church. I had dared to object to his teachings. It made absolutely no sense at all at the time. But in hindsight I have always looked back on this week at bible camp as the first time I began standing up for what I believed in. To question and demand real answers to those questions. All thanks to one fictional boy with a lightning shaped scar. After I got back home, I stopped going to that particular church. 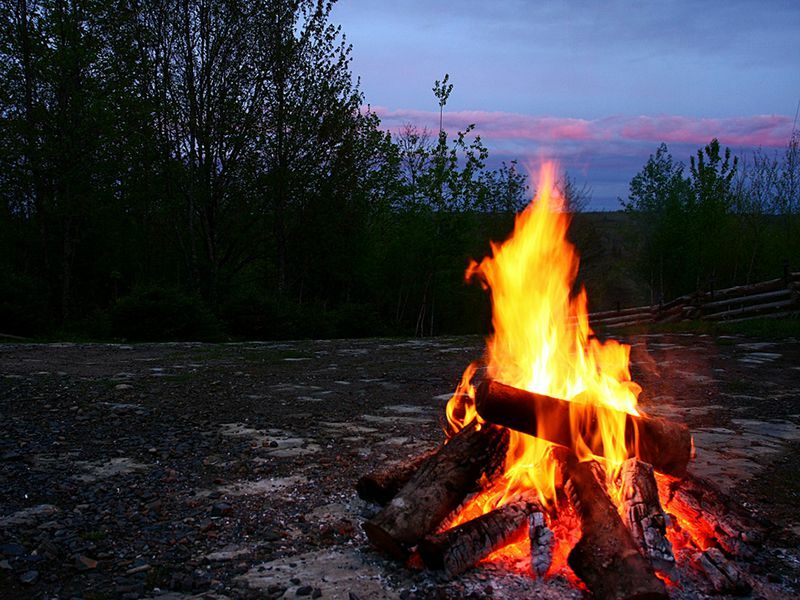 It bothered me in a way that I could not express at the time that none of my friends at camp had stood to support me. Instead, I think they were embarrassed that I hadn’t quietly agreed with the pastor. It also bothered me that the man was so eager to judge that which he knew nothing about. So I quietly began seeking out a more tolerant congregation. Looking back, I realize this story doesn’t seem particularly exciting. I didn’t shout down the guest pastor and storm out in a fury. I didn’t demand that my parents come and rescue me. All I did was stand with others to show my opposition to his teachings. But isn’t that one of the most important lessons that a child can learn? So I’m going to snuggle up in my blanket and continue reading Harry Potter while it snows outside. And I’ll give a silent thank-you to Harry, Ron, Hermione, and J. K. Rowlings for helping me to learn some valuable lessons.